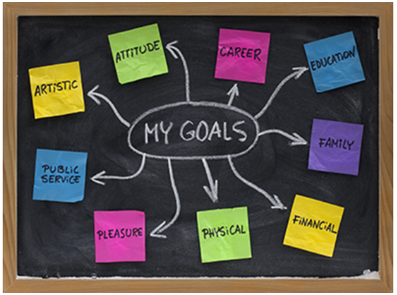 Inspire Bingle: Why Are Goals Important? How true. When we do not know where we are going, any road will take us there. Suppose you have all the football eleven players, enthusiastically ready to play the game, all charged up, and then someone took the goal post away. What would happen to the game? There is nothing left. How do you keep score? How do you know you have arrived? Enthusiasm without direction is like wildfire and leads to frustration. Goals give a sense of direction. Would you sit in a train or a plane without knowing where it was going? The obvious answer is no. Then why do people go through life without having any goals?